Night follows day, the moon ripens and wanes, tides ebb and flow, and Earth majestically orbits the sun; nature rolls on, and summer now is just a memory. Autumn reigns: the wind that whisks fallen leaves across the lane in front of me carries the scent of wood smoke. This is almost my best time of the year, and it feels good to wander in the Sandlings. On the coast, in town and in the countryside, I take photographs and jot down notes: mostly though, I just walk and ponder autumn as it unfurls around me. Leaves on deciduous trees in autumn could be forgiven if they just died, turned brown and fell to the ground. But no, nature doesn’t do the easy and sensible thing. Wildly extravagant as always, she creates not just brown, but scores of shades of russet, red and yellow as well. Days are shortening and temperatures falling, and for a brief window in time we are delighted by the spectacle. In some ways, the effect is stronger in town: gardens glow as I walk in Framlingham, and the lime trees beside the church and in the square illuminate dull November days of wet pavements and streaming gutters. 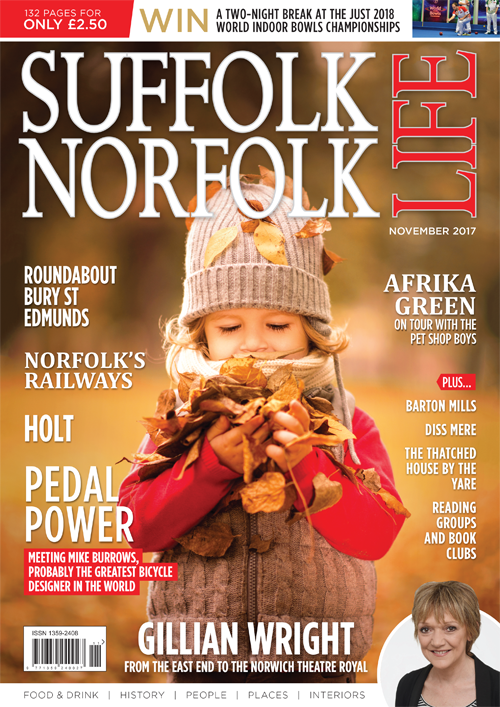 East Suffolk’s largest woodlands are mainly dull green forests of planted conifers, and unable to sparkle with colour when autumn arrives. If it’s colour you want, then you can’t beat gardens, town parks and country hedgerows, whilst the verges and planted slopes of the A12 and A14 have long ribbons of brilliant planted colour that stream past at 70mph: Norwegian maples lining the Woodbridge bypass are a sight to see. 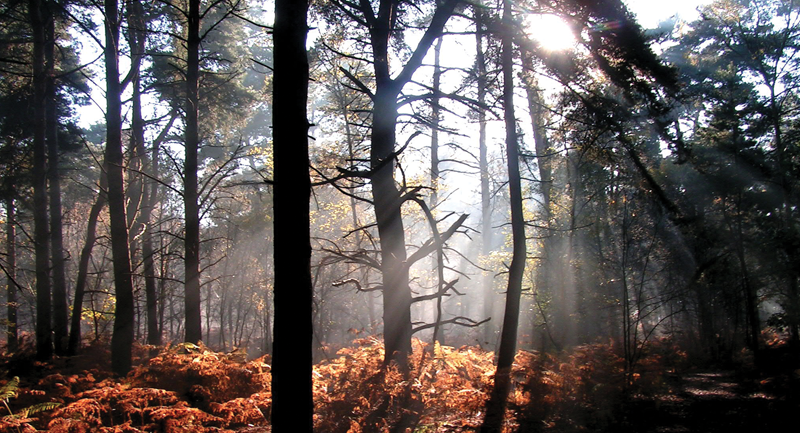 All this colour helps soothe frayed drivers on their travels, but if it’s natural, wild colour you are after, head for the Sandlings heathlands at Hollesley, Sutton, Tunstall, Westleton and Dunwich, where the most abundant – and colourful – tree is often the elegant silver birch. For me, it is the most beautiful tree in the landscape.